With a month remaining before a self-imposed Oct. 15 deadline, the Charlotte 49ers have raised nearly $3.3 million toward a $5 million goal to start a football program in time for the 2013 season. As of late Tuesday, 2,560 football seat licenses have been sold – an increase of 810 since the start of an aggressive marketing campaign on July 13. With the cost of FSLs ranging from $1,000 to $2,500 each, that translates into $3.248 million. The original recommendation by the school's chancellor, Dr. Philip Dubois, to the board of trustees called for the sale of 5,000 FSLs at $1,000 apiece to raise $5 million in start-up funds. Momentum appears to be building as the deadline approaches as 150 FSLs have been sold since last Thursday, school officials said. “We believe we have made significant progress and we're extremely excited about going over the $3.2 million mark in FSL sales. Our sales force has taken this task to heart and fans are stepping forward,” said 49ers athletics director, Judy Rose. Rose and officials from the school's athletic foundation plan to present an update on the FSL campaign to the school's board of trustees during its scheduled meeting on Thursday. Last month the architectural team of Jenkins-Peer out of Charlotte and the DLR Group out of Overland Park, Kan., was selected to create designs for a football fieldhouse, a permanent on-campus stadium and a temporary stadium based around the current Belk Track & Field complex. The team may be able to present some preliminary designs to the trustees on Thursday, officials said. 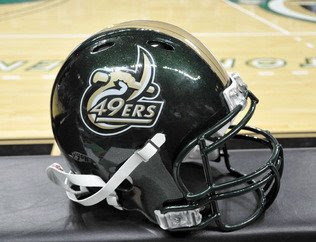 For more information or to purchase an FSL, call (704) 687-4949 or visit charlotte49erfootball.com. WILL EVERYONE PLEASE QUIT SAYING THAT "WEVE RAISED +3 MILLION DOLLARS!!!! People have PLEDGED $3 Million but you have not gotten ANYWHERE CLOSE to that amount!! Just like 6000 people Pledged to buy PSLs! How many of them went t through with it? On a yearly quarter payment plan you have collected MAYBE $800k. But with everyone on a monthly payment plan its REALLY less than $750,000!! ANYBODY THAT BELIEVES YOUVE RAISED $3,000,000 is an IDIOT! It's not a pledge, You have to sign a contract to order the seats. If you had a clue, you would know that. And almost a third of buyers have already paid in full. 8:13 Anonymous needs to take his Haldol. davidson fan that's mad because charlotte's football team has scored just as many points as davidson this season? The Observer would be running free advertising and feature stories if unc-chapel hill were trying to raise money for something. OH THEY SIGNED A CONTRACT!?! GOLLY GEE I DIDN'T KNOW THEY SIGNED A CONTRACT!! Tell me DOUCHEBAG, What happens when Joe Niner decides to STOP HIS FSL PAYMENTS cuz, I dont know, they POSTPONE THE START DATE , or the ecomomy goes to $#!+, or the stadiums not big enough and the seats are not where they PROMISED? Will UNCC waist its limited funds AND TAXPAYER DOLLARS to go to court and make him fulfill his "contract"?!?! HEY JIM, Why dont you publish the TOTAL AMOUNT COLLECTED? I guarantee you its less than $1MILLION. DO YOU EVEN HAVE 1,000 INDIVIDUAL CONTRACT HOLDERS???? IF THE CHANCELOR IS READING THIS: PLEASE ABORT 49ER FOOTBALL! YOU WILL BE LUCKY TO HAVE 75 PEOPLE AT YOUR FIRST TAILGATE!!!!! Why all the hate? And why are you SO upset since you have no horse in this race? We are 80,000 alums strong with a student body of 24,500 heading to 35,000! If we want football what's the problem?? Go NINER Football! Whoa, Mr. All Caps. Slow down. Breathe. Put your neck veins back. You obviously hate the idea of 49er football, and we applaud your passion. And slap you in the face for being an idiot. We see you coming out of nowhere with no facts. Nice. Now let people that care about Charlotte's public university carry on without your thoughtless crap. People, don't worry about the ALL CAPS JACKASS. There are always going to be people hating on those who are putting forth the effort to do something new and risky. They never see the potential, only the risk. We just have to keep looking forward, and not behind us at people like that. These folks like this are the crabs in the barrel trying to pull the ones climbing out, back down. They have to try to belittle others to make themselves feel good. What a sad life. These are the same haters that said Charlotte football wouldn't get passed by the administration or student body. Some people just enjoy spending their free time being a thorn in another's side. Very, very sad life. All Caps - davidson or chapel hill? alum or just a fan? Glad to hear this Jim - rough time to try to get a team going, but whens there going to be a good one? Looking forward to 2013! I wish that 49ers play at Memorial Stadium for the first 5 years. Why spend $$ on Belk Track. Put that $$ into the real stadium down the road.Would be less to spend at Memorial & maybe city with help with partial funds. It would be a nice upgrade to Memorial Stadium for highschool football & etc. Also you would draw more fans downtown being centralized! !On campus facility should be a slow process! Do it right! The whole purpose of this idea is to get the student body involved. An off campus idea is just a bad one. Wow $3.3 million pledged! That’s pretty good in a down economy. Go Niners, let's get the team we have been talking about getting since prior to my tenure (late 80's). Make this proud Forty Niner, Niner Proud! Good work, grassroots effort in spite of the all caps naysers and Spangler and Friday. Let's hear what the naysayers have to say, and simply choose not to listen!!!!! What a hill to climb! The train has just started! Go Niners!!! Don't look back!!!!! All CAPS, time to learn how to spell absurd you moron! You lost all credibility with me when you started typing! Glad to hear you are a fan of my University! Love to chat more with you, but break-time is over, get back to your register! You got to love the naysayers. First it was that there would never be a vote for football, followed by the proclamation that there would never be enough FSL pledges. So far the score is 0-2 for the naysayers. Not too credible a record. Now the argument is that that enough FSL's won't be fully sold. Let's see: Here we are with over a third fully sold, another third in payment plans and us full charging ahead towards the goal... oh and with a $1,000,000 anonymous pledge so far towards the stadium. Looks like they are going 0-3. While the individual typing in all caps is a little over the top, the point he has is valid, and its absurd to look at 3 million dollars as a great achievement in the face of an already estimated need for 40 million dollars. More to the point, no one here is stating the obvious; that 3 million dollars is a pittance compared to the alumni donations and budgets of temas that Charlotte claims to want to compete in Divison I-A football eventually. SEC schools get 17 million a year roughly, just from their revenue sharing alone. Schools are spending the totality of Charlotte's proposed budget on facility upgrades and capital construction ALONE. This is not to be a "naysayer" but to point out the realistic chances of a new team eprforming well against competitors with significantly more money and a large head start. No one wants to have the equivalent of a FIU team.